Yes, dear reader(s) I have more ideas for you. Today they are ideas for table settings. Here are some of my favourites which I found on the internet. 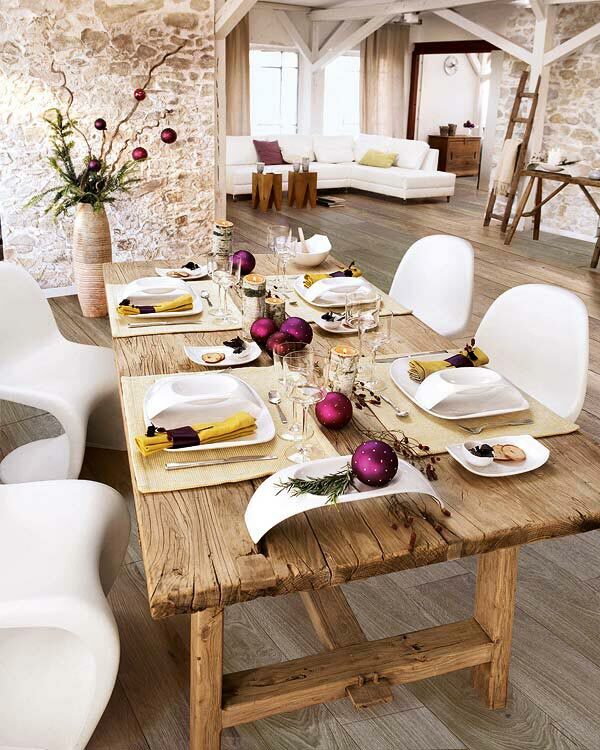 Simple and rustic. 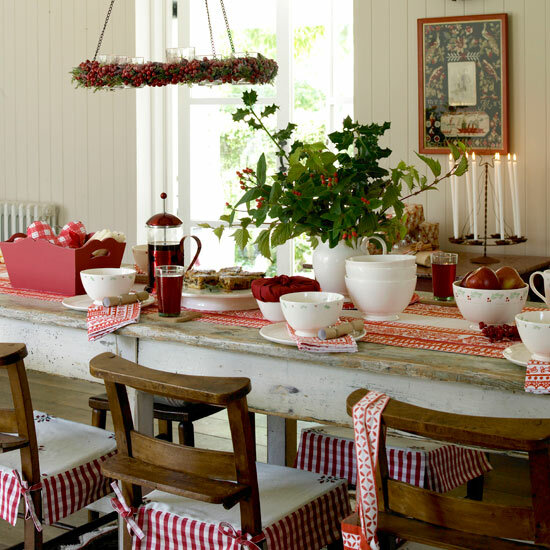 Gingham seat covers and wooden chairs give it a cottage feel. Silver and white baubles in a big glass bowl and lots of candles and lights. 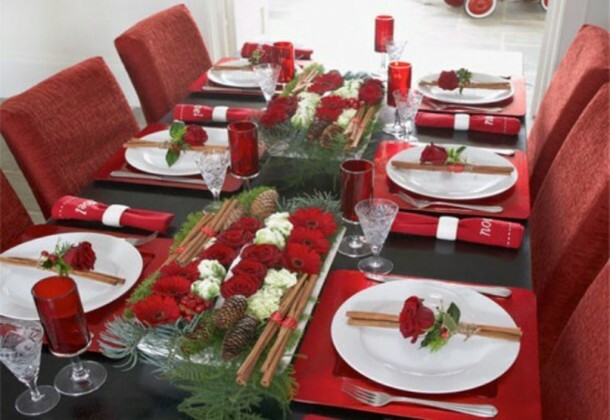 Lots of red and white flowers mixed with pine cones and cinnamon sticks. 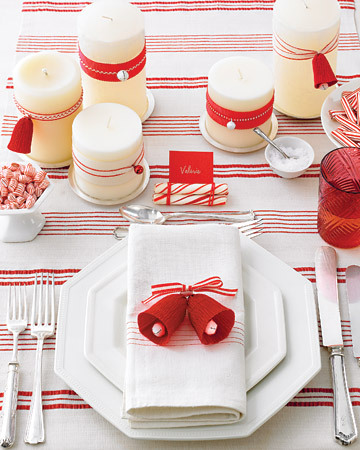 Simple white plates and candles with touches of red. 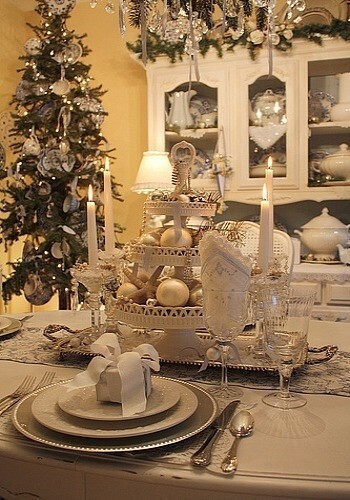 Put baubles in a high tea plate and surround it with candles. 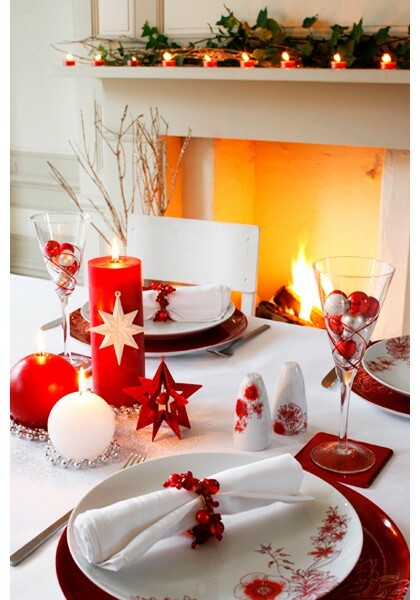 Red and white baubles in champagne glasses, red glass bead napkin rings with red and white accents. 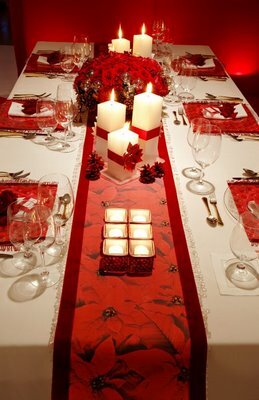 Red flowers in a big bowl, white candles with red ribbons, small candle holders and red place mats give this a cosy and Christmassy feel. Brown and gold works! 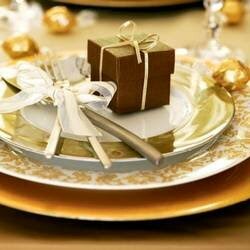 Love the ribbon around the cutlery and the little gift on the plate. 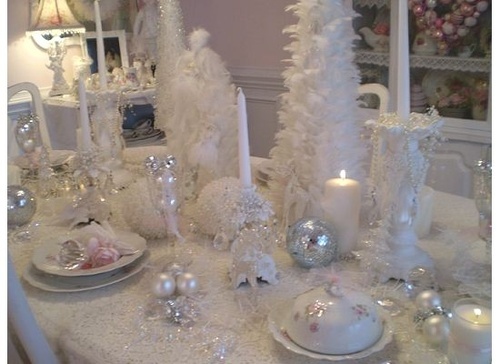 Silver baubles scattered around, white candles and white fake mini trees make for a snow white Christmas table. Not so sure about the purple and mustard yellow combo but have to share this picture because of the fabulous beams and exposed brick walls. Also, love the table. Well, I'm inspired. I hope you are too! 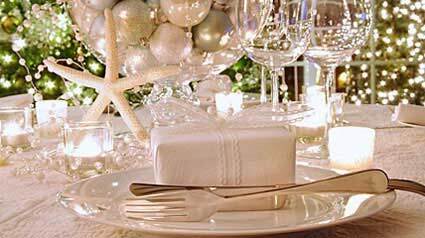 What a wonderful collection of elegant and lovely Christmas decorations and ideas! These are perfect for this coming holiday season this 2014. 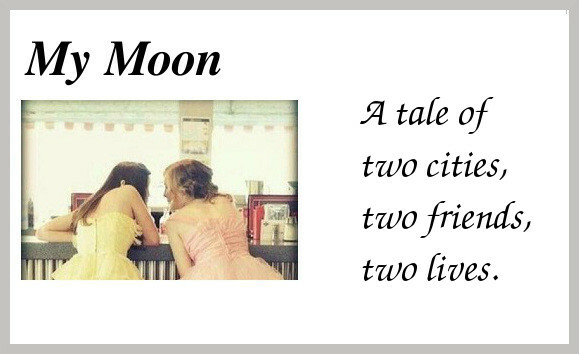 Thanks a bunch for sharing!